This property is an eminent example of a type of structure illustrating the historical situation of Haiti at the dawn of its independence. 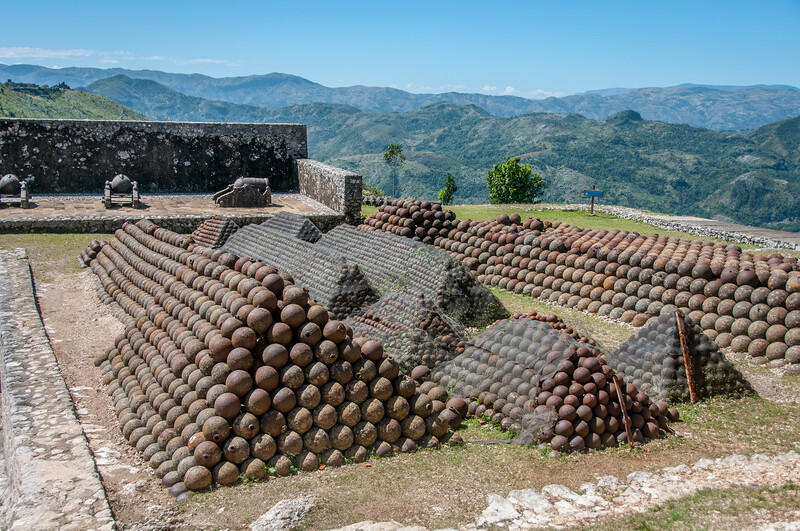 These Haitian monuments date from the beginning of the 19th century, when Haiti proclaimed its independence. The Palace of Sans Souci, the buildings at Ramiers, and, in particular, the Citadel serve as universal symbols of liberty, being the first monuments to be constructed by black slaves who had gained their freedom. Situated within the National History Park created by presidential decree in 1978, in a splendid natural setting of mountainous peaks covered with luxuriant vegetation, the Citadelle Henry, the Site des Ramiers, and the Palais San-Souci represent for the Haitians the first monuments of their independence. On 1 January 1804, after 14 years of struggle by the island’s black slaves against the colonists, Jean-Jacques Dessallines, the principal leader of the revolution, proclaimed the independent Republic of Haiti. The Emperor Dessallines immediately entrusted to Henry Christophe, one of his generals, the task of constructing an immense fortress on the Pic Laferrière, or Pic Henry, 28 km south-west of Cap Haitien. At the death of Dessallines in 1806, the Haitian Republic was divided into two states: the southern part governed by Pétion, and the north, where Christophe proclaimed himself king in 1811. The Citadelle Henry originally conceived as the monument to the defense of liberty was maintained as a fortress by the despot and was inaugurated only in 1813. At the same time, King Christophe (Henry I) undertook the construction of an astonishing palace surrounded by gardens, situated at the foot of the access road to the citadel near the village of Milot. The Palais Sans-Souci, mainly in a state of ruin but currently being restored, owes its bizarre beauty to an exceptional harmony with the mountainous setting, as well as its recourse to diverse and yet reputedly irreconcilable architectural models. The Baroque staircase and the classical terraces, the stepped gardens reminiscent of Potsdam and Vienna, the canals and basins freely inspired by Versailles, impart an indefinable hallucinatory quality to the creation of the megalomaniac king. Both military installation and political statement, the Citadelle Henry, constructed at an altitude of 970 m and covering a surface area of about 1 ha, is one of the best examples of the art of military engineering of the early 19th century. The plans are the work of the Haitian Henri Barré, but it is probable that General Christophe played the preponderant role in their formulation: the projecting masses remarkably articulated to allow an integrated use of artillery capabilities; an elaborate system of water supply and cisterns; and colossal defensive walls which render this citadel impregnable. It can shelter a garrison of 2,000 men, or 5,000 if necessary. There are two major parts of this site which I visited. The first is the Citadel, which is the largest fortification built in the Western Hemisphere. As the Citadel was abandoned (and forgotten) soon after its completion, it still has the largest collection of 18th-century cannons in the world. There are well over 150 original cannons still within the walls of the fort and hundreds of original cannonballs. Cannons from France, Spain, and England can be found in the fort (the Spanish and English cannons were captured and brought there). The Palace of Sans Souci is near the Citadel and was the residence of King Henry Christophe. After the death of Henry Christophe in 1820 the palace was sacked and never restored. After centuries of earthquakes and weathering, you can still the walls and stairs of the structure. Both locations can easily be visited in a half-day trip from Cap Haitien which is on the north coast of Haiti. I’d recommending having a guide with you who can explain the history and details of both sites as there is quite a bit which can be missed if you don’t know what you are looking for. 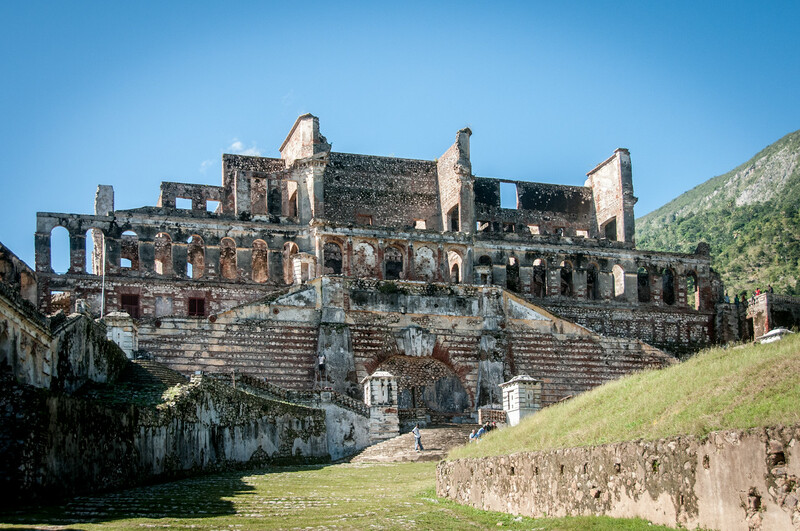 The National History Park – Citadel, Sans Souci, Ramiers is a cultural UNESCO World Heritage Site in Haiti. This site was designated in 1982 during the 6th session of UNESCO. There are three main components to this UNESCO site: 1) Palace of Sans Souci, 2) Citadelle Laferriere, and 3) buildings of Ramiers. This collective site is recognized because this is the largest fortress that belongs to the Western Hemisphere. In addition, these structures were also historically significant as they were built at a time when Haiti was a free republic. The National History Park – Citadel, Sans Souci, Ramiers UNESCO site consists of a secular structure, military building, and a palace. Each of the component sites to this World Heritage Site offers significance individually and collectively. Hence, it is important to take a closer look into each one to understand what that importance is. The Palace of Sans Souci is one of the main components to the UNESCO site National History Park – Citadel, Sans Souci, Ramiers. This palace is located in the town of Milot, which is about 5 kilometers from the location of the citadel, which is also part of this UNESCO-protected area. This palace was built in 1813 as the residence of Henry I, which was King of Haiti at that time. This was one of nine palaces that were built for by the king, together with fifteen chateaux. He has also commissioned the building of a sprawling summer home and various forts. Due to periods of lawlessness and political instability, this palace is rarely visited by foreigners. 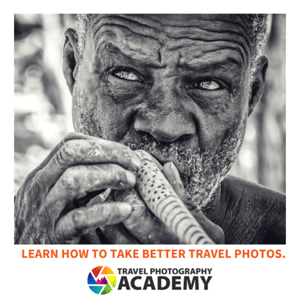 However, it is recognized as one of the most remarkable attractions in the Western Hemisphere by those who have visited it. This large mountaintop fortress is another component of the UNESCO site National History Park – Citadel, Sans Souci, Ramiers. It is located atop Bonnet a L’Eveque. This is considered as one of the largest fortresses in the Americas. This, together with the nearby Palace of Sans Souci, is collectively recognized by UNESCO as a World Heritage Site. 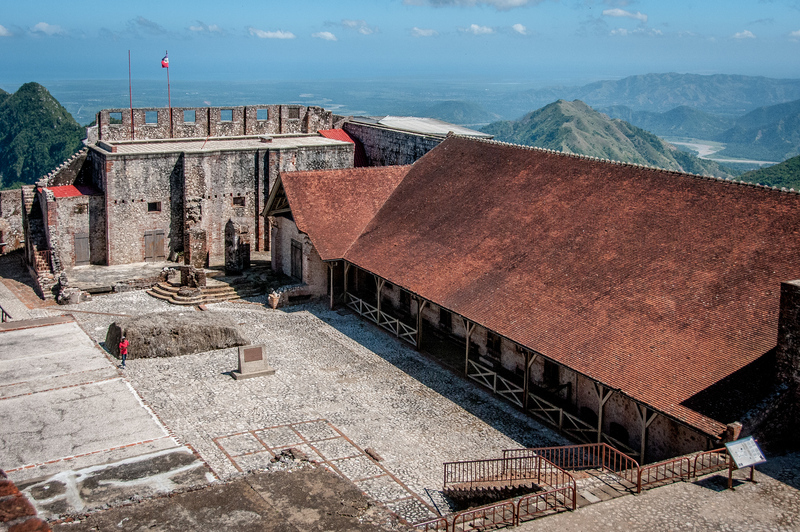 The fortress was built by Henri Cristophe, who was the leader of the Haitian slave rebellion. 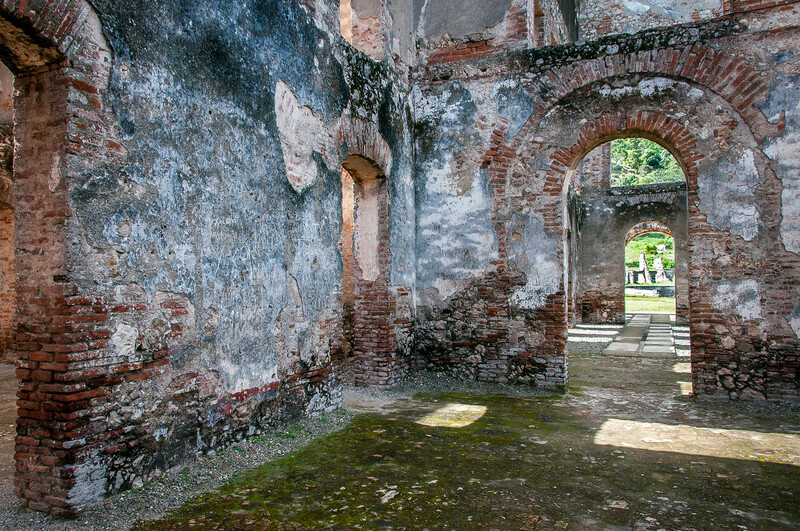 This was built right after Haiti gained independence from France at the start of the 19th century. This massive stone structure required more than 20,000 workers to build. 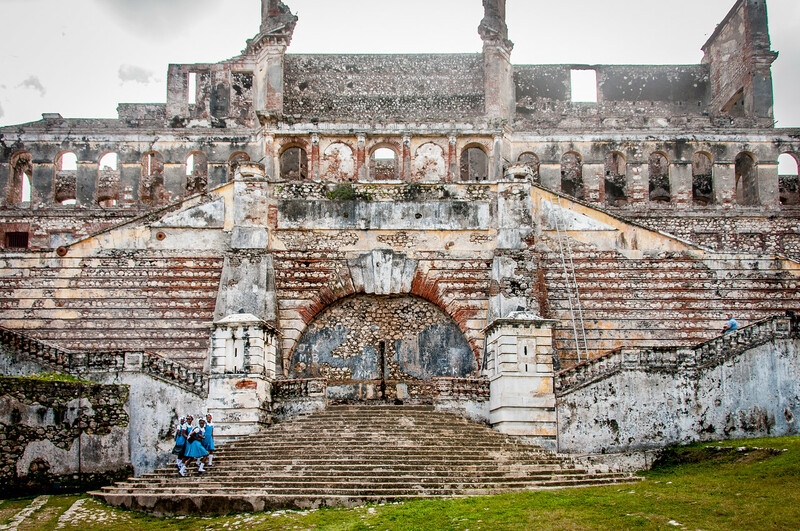 It was constructed from 1805 to 1820 as part of a system of fortifications on the island nation of Haiti. Due to the colossal physical dimensions of this fortress, it has become a symbol of the nation. The buildings of Ramiers is the last component of the UNESCO site National History Park – Citadel, Sans Souci, Ramiers. It is located on a small plateau with various sections of walls that divide the residential ensemble. There are also a couple of pairs of fortified redoubts. The site provides a panoramic view of the Citadelle. These buildings, along with the two monuments above, are among the few structures that were built after Haiti gained its independence. View my complete list of UNESCO World Heritage Sites in Haiti.